It's Prairie Story Recipe Swap Thursday! I've been baking away every day... if you haven't had the chance yet, be sure to check out my 12 Days of Christmas Baking! Recipe Swap Thursday's most popular recipe last week was Snowman Hats @ This Chick Cooks. Aren't these totally cute?! Be sure to visit her blog and all the other recipes! 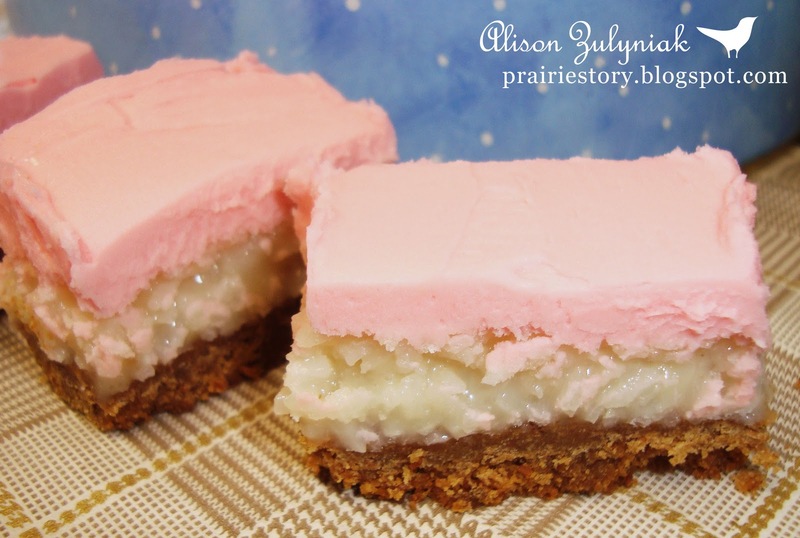 This week I've posted a new recipe - my Neapolitian Slice. Your neopolitan slices look so yummy. Thanks for hosting the swap. The bars look great! Colorful and pretty! The kids would love them, thanks! Such yummy treats you have been making! The Neopolitan Slices look divine - I will definitely make these for our holiday festivities! I have been enjoying all of your cookie posts! Thank you for hosting! Baking every day??? How fun! That's the way to do it. Imagine baking bread every.single.day out of necessity. Those bars look wonderful! I'll definitely have to check out the recipe! So many good recipes posted. The bars look fantastic and I love those Nutter Butter reindeer cookies. I'll be clicking around for a long time today! Happy Thursday! Love your bar cookies! That neopolitan slice looks incredible! Thanks for hosting!! I just deleted mine. It had a misspelling. I will try to come back tomorrow. Feeling silly but I am really tired.